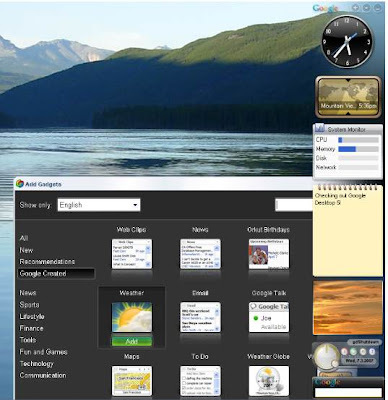 Google Desktop gives you easy access to information on your computer and from the web.It’s a desktop search application that provides full text search over your email, computer files, music, photos, chats and web pages that you’ve viewed. By making your computer searchable, Google Desktop puts your information easily within your reach and frees you from having to manually organize your files, emails and bookmarks. It makes searching your computer as easy as searching the web with Google.